Inlay is an ancient decorative art. 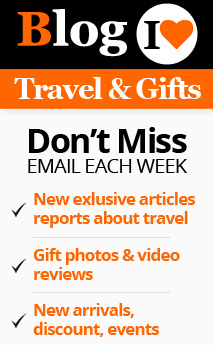 It involves inserting pieces of various materials into a base surface to form designs. The result can be highly picturesque and dazzling. This ancient technique is used to make decorative objects, furniture and floorings. The materials for inlaying are many. Wood, metal, ivory, camel bone and even pearls and shells are used for this art. As any other ancient handicraft, the origin of this art also lies shrouded in the mist of history. However, this art is said to have an Islamic origin. Some say that it originated with the Iranian signet makers. There are evidences of the Egyptians using this art from a very early age in the history. This is an art that calls for a high level of patience and artistry. 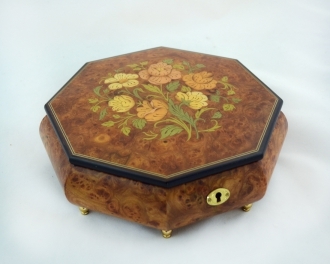 The designs are first drawn on the material that is used for the inlay, be it wood, metal, or shell. The cutting out of these designs from the whole material is a very cumbersome task. A delicate saw called coping saw is used for this. The carefully cut pieces are then sorted out and kept aside. Now it is time for drawing the intricate design on the base surface. The carving out of niches in this design is another job that requires patience and skill. The niches should be perfect beds for the previously cut pieces. The third step is inserting the cut pieces of inlay into the slots. When all the pieces are inserted into the niches, it will collectively produce a magnificent work of art. The smoothening and polishing the surface will perfect the images. Another ancient art called marquetry is also similar to inlay. 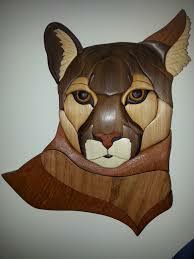 This involves cutting vast pieces of veneers and placing them over the entire surface of an object. This art should not be confused with inlay, even though they are very similar. This is a decorative technique used in embellishing furniture. Various colored woods and many other materials are used for this . The depressions in the decorative designs are filled with pieces of wood veneers, metal pieces, bones or shells. The end products can be spectacular. The Sorrento artisans used this technique in their carpentry from the 14th century onwards. 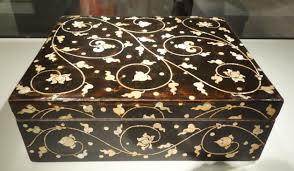 The metal inlay was used by the Chinese from early 4th century BC. 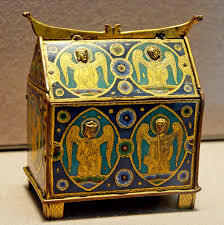 They used to decorate vessels with precious metals like gold and silver. Metal ch ips were used in cabinet making in France from the 17th century. 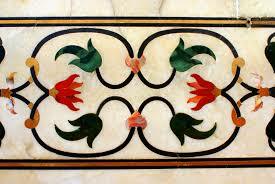 The stone inlays were used in decorating floors and walls of churches and cathedrals. 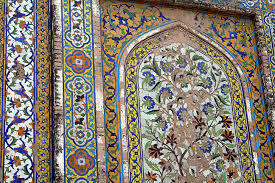 The Mughals of India used this art extensively in their architecture. A number of Mughal constructions in India are the glowing examples of this ancient art. 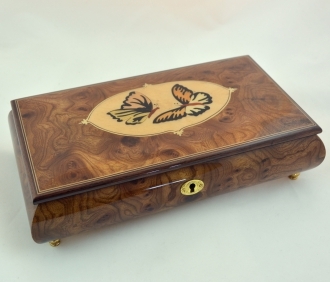 The art of inlay is a popular and highly appreciated form of art even in the modern era. 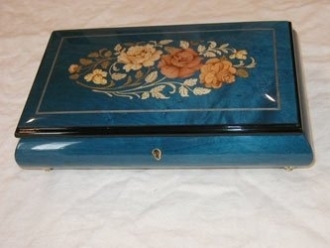 It is still used extensively in making chests, boxes and musical instruments. The art is sure to possess its relevance even through the coming centuries.